We specialize in custom fabrication on or off site for your municipal or heavy construction needs. If you do not see a service listed below, please contact us and if it is outside our range of services, we can help you find some of our dependable contractors near your project. Expert advice about your project’s material needs is, of course, complimentary. We've been doing this a long time, and our experience can make your materials selection and fabrication needs quick and easy. Customer relationships are very important to us and not taken for granted. We can and will do what it takes to earn your business, as many long time customers know very well. Contact us for references. We can drive piling for your bridge anywhere in Missouri, with modern equipment and expertise to ensure timely completion. Contact us for a quote. Most of the products we sell can be fabricated to your specification. We can complete the fabrication at our yard or at your jobsite. Installation of all of our products is available throughout the state by a preferred contractor in your area. We are glad to assist in hiring or recommending a contractor for your project. There is no need for guesswork or worry in hiring a contractor; our recommendations come from years of experience in the industry. Delivery is available for all of our products anywhere in the state. Delivery costs will vary, contact us for current rates. 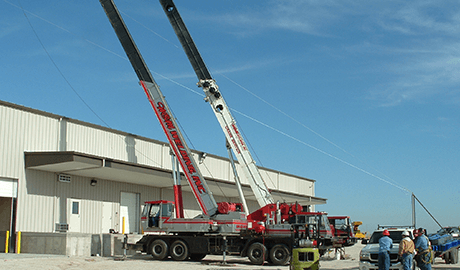 With over 40 years of experience, Viebrock Sales and Service can supply you with an experienced, well trained, customer friendly certified fabricator to fulfill all your needs. 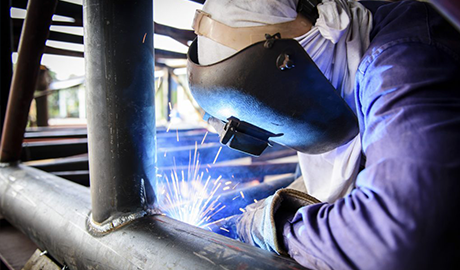 Our fabricators strive to perform the highest quality of standards maintained by our company.